The South Korean Ambassador for Peace Medal was given to eight residents of New Milford during a special ceremony June 10. 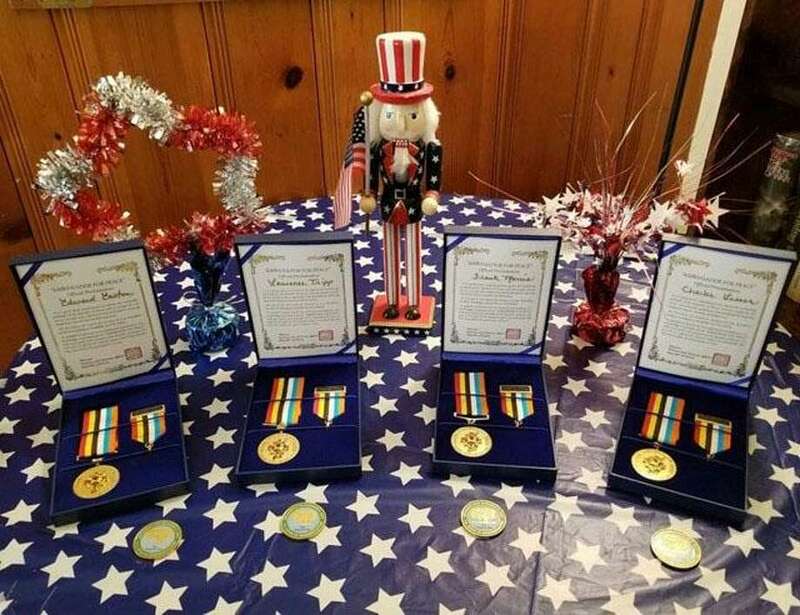 Several residents from New Milford were recently presented with the South Korean Ambassador for Peace Medal given by South Korea to all eligible Korean War veterans. Medals were presented to eight individuals June 10 at a ceremony held at the American Legion Ezra Woods Post 31 in town. The medals were presented nationwide to every Korean veteran who served in country in South Korea from 1950-53. Congresswoman Elizabeth Esty bestowed the medals to the veterans. Recipients are the late Charles Elsesser, whose wife, Dayle, received the medal, Edward Easton, Lowell Hendrix, Frank Morris, Laurence Tripp, Martin Jajer, Henry Chatin and James McLaughlin.